Wally Boag, who played Pecos Bill in the “Golden Horseshoe Revue” was a comedic genius who managed to make the same jokes funny five times a day for decades. Hired by Walt Disney himself, Boag brought his own unique brand of comedy to Disneyland in the form of balloon animals, silly dancing, and spitting out lima beans. Boag was a comedic superhero for dozens, including Steve Martin who recalled watching the show as a kid and being inspired to get into show business himself. When Boag retired in 1982, several actors took over his gig as Pecos Bill. Each new actor paid tribute to him in their own way by recycling some of his signature gags, while adding in their own unique comedy and talents to the show. One of Boag’s predecessors is my personal favorite comedy magician of all time, Dana Daniels. 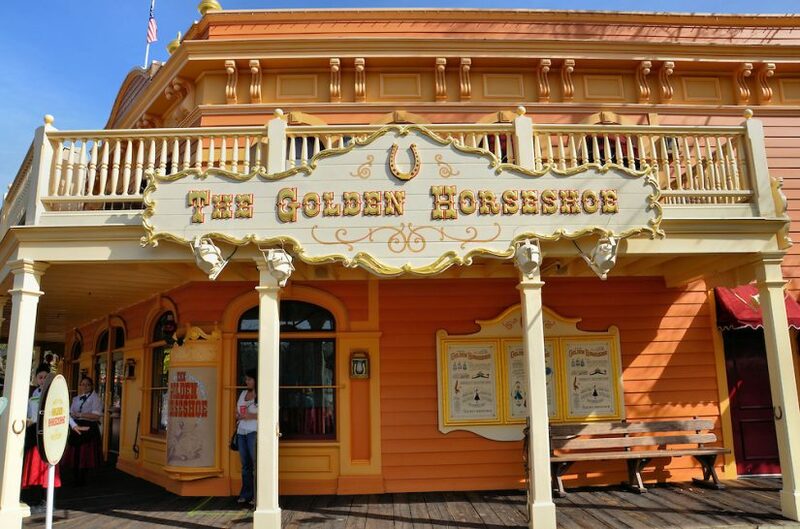 After performing in the “Golden Horseshoe Revue,” Daniels continued his career in the Golden Horseshoe Saloon at Disneyland and performed a one man show for years beyond. Since then, Daniels has been performing all over the world, including the infamous Magic Castle in Los Angeles. 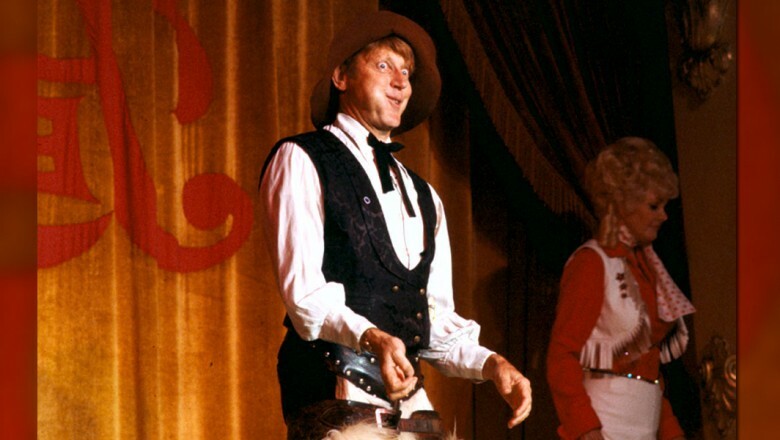 Fans of the Disneyland classic show will remember a point where Slue Foot Sue throws a punch to Pecos Bill which knocks all his “teeth” out in the form of lima beans all over the stage. 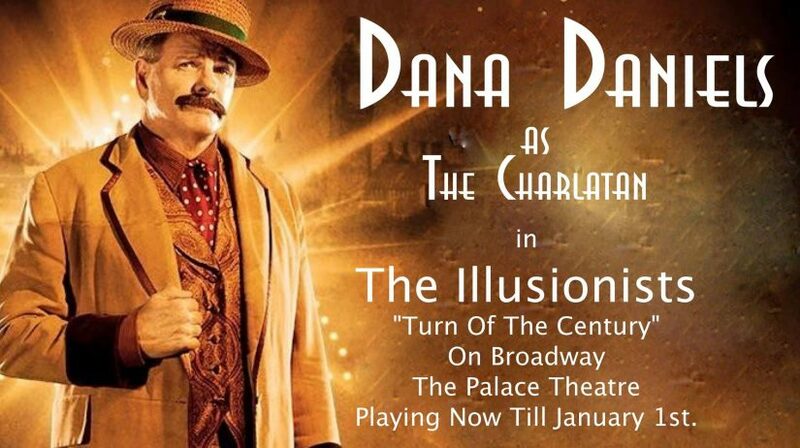 Daniels now uses an assistant from the audience to give him the same punch to spit out lima beans in “The Illusionist: Turn of the Century” every night on Broadway. 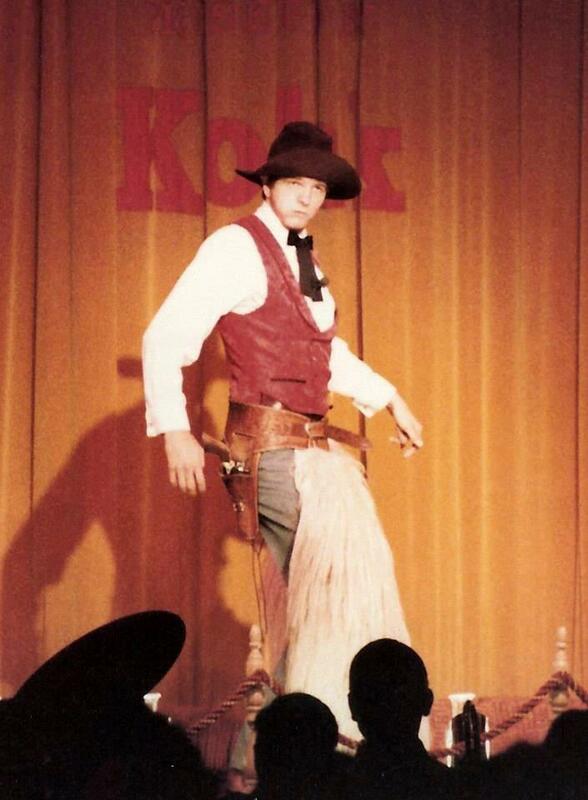 Check out this video Daniels posted recently comparing how the gag was done for the “Golden Horseshoe Revue” and how he uses it on Broadway today! This entry was posted in Extinct Attractions and tagged Broadway, Dana Daniels, Disneyland, The Golden Horseshoe, The Illusionsts, Wally Boag. Bookmark the permalink. Trackbacks are closed, but you can post a comment.